KUZA, the Portland-based non-profit dedicated to transforming Uganda through education, held an extraordinary gala Saturday night in the Pearl District at Castaway. Nearly 300 people attended the evening, learning about Africa, Uganda, and using education as a tool of social change. Our own Ian Symmonds keynoted the event on "Why Africa, and Why KUZA", while executive director Sara Reamy made the case for the organization. 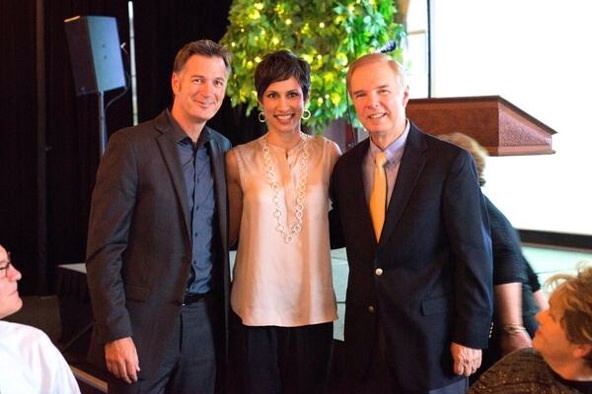 Long-standing KOIN-TV anchor Mike Donahue played emcee, leading the magical evening. KUZA has been one of several Just Cause client efforts over the past several years. For more information, please check out KUZA online.